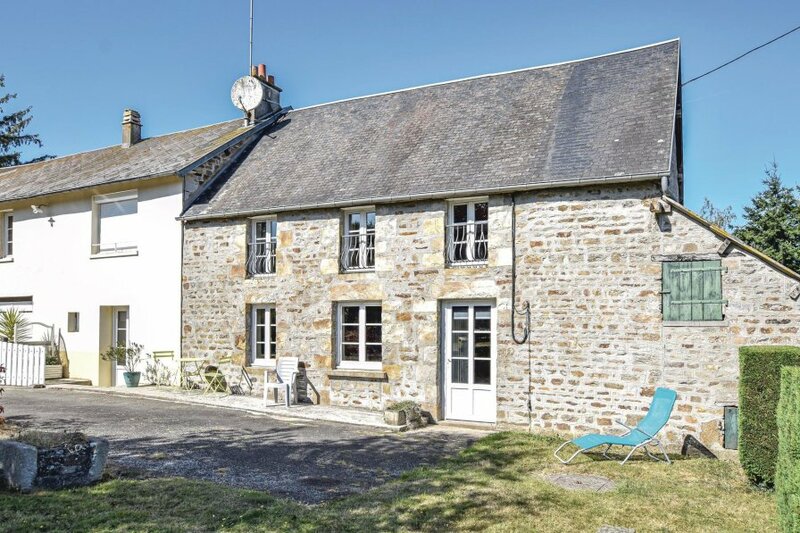 This attractive detached country cottage is 500m from the village of Lonlay-l'Abbaye. The beautiful 11th century abbey sets the scene in the village centre.Enjoy the pure air of the countryside with plenty of good walking. If you prefer more culture and activity, head for Domfront (8km), the lovely medieval town.Stand atop the keep to see spectacular views over the national park, or head off to beautiful Bagnoles-de-l'Orne (27km) for shops, restaurants, pavement cafés and a casino.Shops, café/bar and restaurant 550 yards (500m), beach 37.5 miles (60km). This villa is made from brick or stone. The agent has rated it as a two star property so it is a plainly furnished villa with limited facilities. It is ideal for a cheap holiday. The villaIt is located in Lonlay-l'Abbaye, 27km from Bagnoles-de-lOrne. It is set in a good location: there is a restaurant 8.3km away.